best views of the mountains. From the end of February to mid-April it is warm and dry session, the rhododendrons are in flower and the Tarai long grass has been cut, improving wildlife sightings in Chitwan and Bardia national parks. and Trekking and Peak rout a full tourist This season brings a second wave of visitors, through a haze gradually obscures the mountains from lower elevations towards the end of this period. 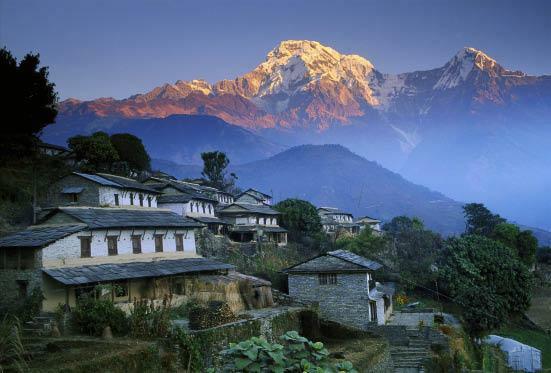 It is possible to visit Nepal in January and February, but you should be prepared for very cold nights and a lack of heating except in Kathmandu luxury hotels. It’s a good time to Trekking Ghorepani , tamang heritage ,Mardi Himal , Everest panoramic and Jomsom Trek . We can advise you on the best time to visit Nepal based on the things you want to see and do. We organize tailor made trips to Nepal and would be happy to talk through when and where to go – just get in touch to plan and book your trip.